Before I plunge into our regularly scheduled programming, I've gotta give a shout out to The Quiet Man, who mentioned in passing that Milwaukee was attempting to get a new flag and that there was an unofficial 'People's Flag' that they were trying to get adopted as the city's official flag. I was going to maybe use it for this week's entry, however, it turns out that there's an entire beautiful (and I do mean beautiful) website that break it all down in far more detail and with far more love and attention than I could ever do. Adopted on October 12th, 1954 it was created during the transitional trusteeship period of their history before independence. 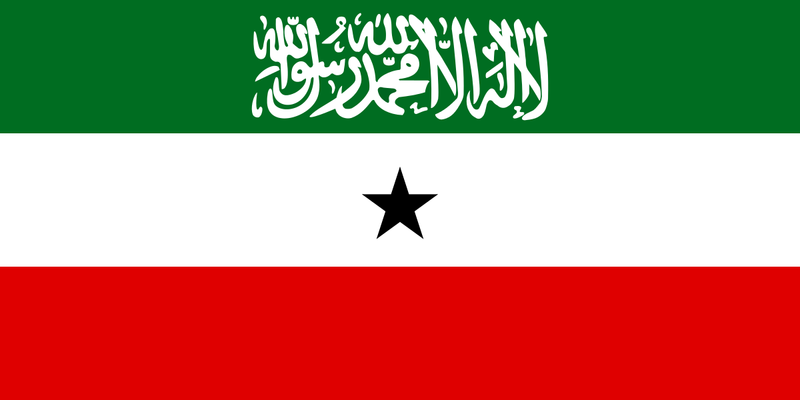 Designed by Somali scholar Mohammed Awale Liban, it became the flag of the Somali Republic after independence. It's an ethnic flag- and the star is a five pointed Star of Unity that represents the areas where the Somali ethnic group has traditionally resided: Djibouti, Somaliland, the Ogaden region of Ethiopia, the North Eastern Province of Kenya and Southern Somalia. If you're thinking that the shade of blue bears more than a passing resemblance to the flag of the UN- well, you'd be right! Originally it did recall the UN's role in their transition to independence during the trusteeship period, but today, it officially stands for the sky as well as the bodies of water which flank the country: the Gulf of Aden, the Guardafui Channel and the Indian Ocean. First off, I suppose we should start with the basic question. Where the heck is Somaliland? Well... if you imagine the entire country of Somalia in roughly the same shape as a sideways looking number 7, then Somaliland would be the short part on top. (There's also Puntland, just to confuse things.) 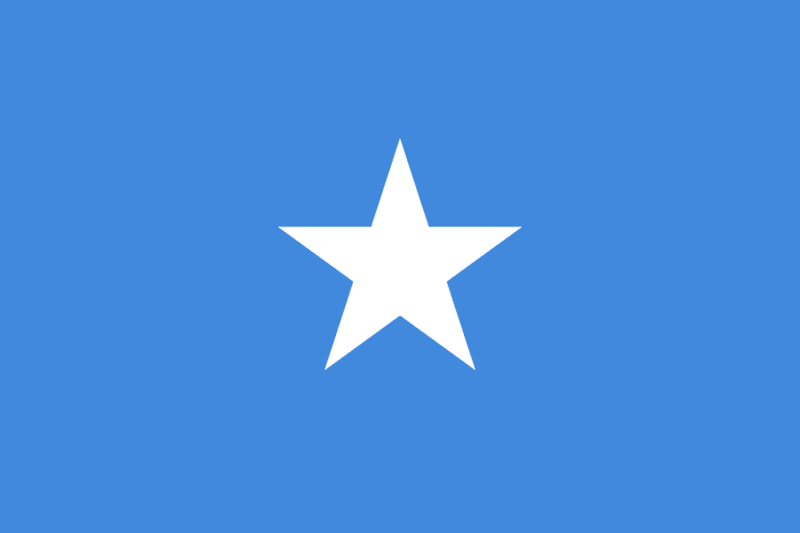 Officially, it's an autonomous region of Somalia- unofficially, it's declared independence and has democratically elected governments that are attempting to seek recognition of it's independent status. So far, no one has elected to recognize them. 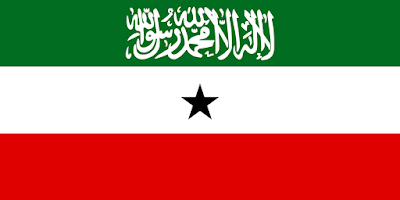 They're more or less in the same territory that was the former colony of British Somaliland before it was united into greater Somalia in 1960. I haven't been able to find another other explanations for the colors other than the 'Pan-Arab colors' but there are a pretty unusual amount of alternative/variant flags that are worth taking a peek at. So there you have it... Somalia and Somaliland. Remember, until next time, keep your flags flying: FREAK or otherwise!